The automatic repair is generally able to fix the boot failure error, this is a built-in option comes along with the windows itself. Windows 10 running system fails to boot the Automatic Repair option tires to repair windows automatically. Automatic repair fixes the various issues related to boot failures, it also has its limitations and sometimes automatic repair fails to work. Automatic Repair couldn't repair your PC. The bootable installation media and system repair disc are helpful in this case. 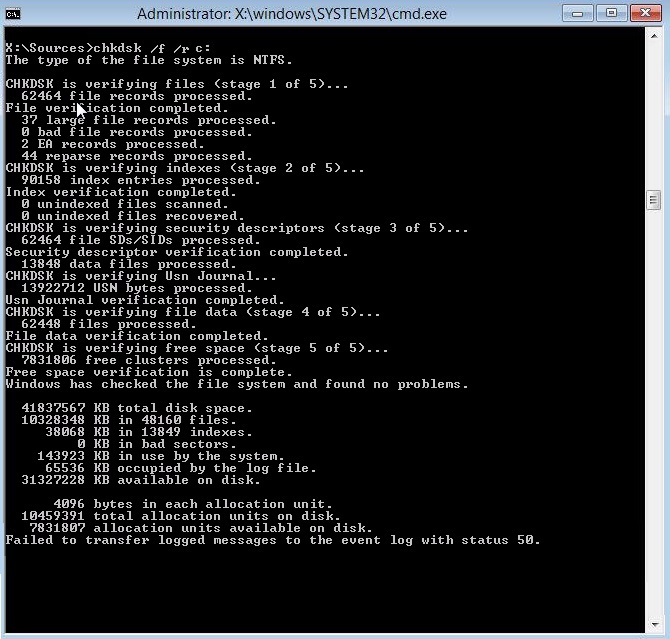 Exit the command prompt after completing each command. To check whether your PC boots, restart your PC. Restart your system to apply changes and fix the automatic repair coldn’t repair your PC error. Restart your PC to see , you are able to fix the automatic repair couldn’t repair your PC. To run the command press enter and wait for the process to get complete, it takes 15-20minutes. After the process is completed restart your PC. We hope that you have successfully fix Automatic Repair couldn’t repair your PC but if you still have any queries regarding this guide , you are free to ask them in the comment section.